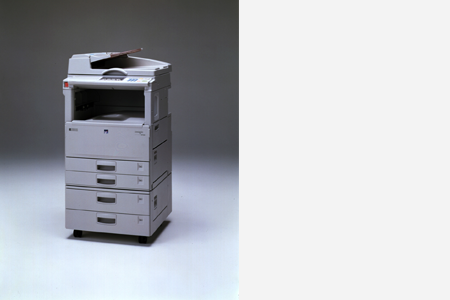 In 1987, we pioneered the multifunctional digital copier for the office with the IMAGIO 320. 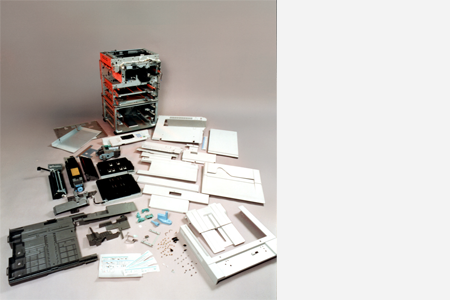 In 1996, we helped popularize digital models by launching the imagio MF200, a compact and highly affordable copier. We thereafter released networkable and color offerings. We reinforced our overseas production structure, notably by establishing Ricoh Asia Industry (Shenzhen) Ltd. We broadened our international sales network in 1995, acquiring Savin Corporation and Gestetner Holdings PLC in the process. Ricoh introduces the "RICOH COLOR 5000", the first analog color copier. Ricoh awarded Ohkochi Memorial Production Prize for development of multi-product production system for plain-paper copiers. Ricoh develops speech recognition and optical character recognition technology. 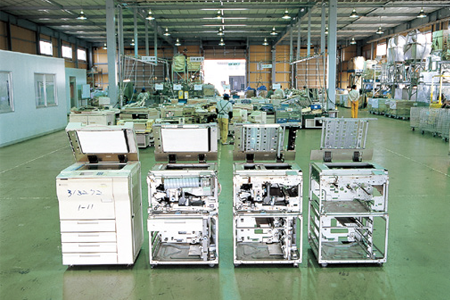 Ricoh opens Gotemba Plant, Shizuoka Prefecture, Japan. 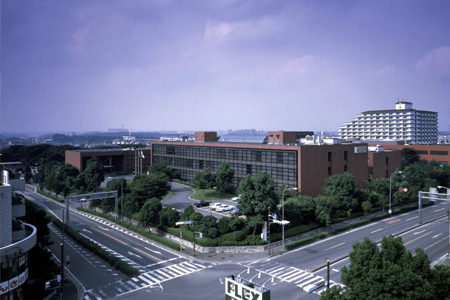 Ricoh founds Ricoh Research and Development Center in Yokohama in commemoration of 50th year of operations. 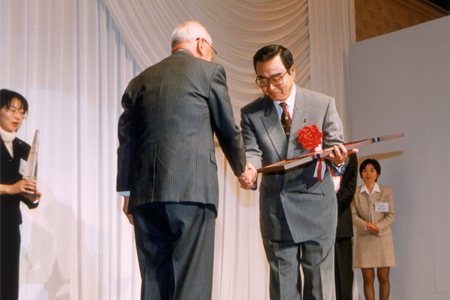 Ricoh Research and Development Center was founded as one of the commemorative events of the company’s 50th anniversary. It was set up to become the core function of the company’s multi-lab project to enhance its system for comprehensive R&D activities from the long-term perspective. 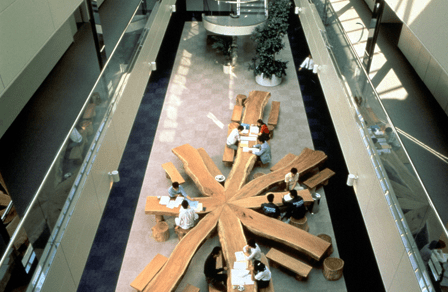 The center opened on April 23, 1986 within the Kohoku New Town district in Yokohama. The facilities cover a total area of 16,700㎡ and include not only a range of laboratories for precision measurement and analysis as well as clean rooms, but also spaces designed to encourage researchers’ inventive efforts and interactions. 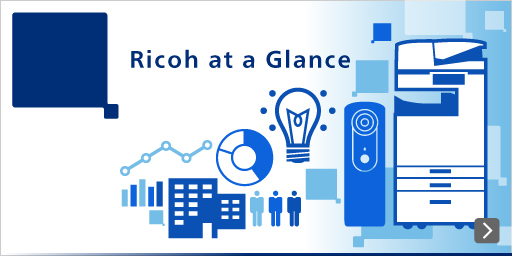 The establishment serves as Ricoh’s key R&D base that undertakes a full range of activities, from basic and applied studies to commercial use research. Adapts a new coporate logo in celebration of its 50th anniversary. 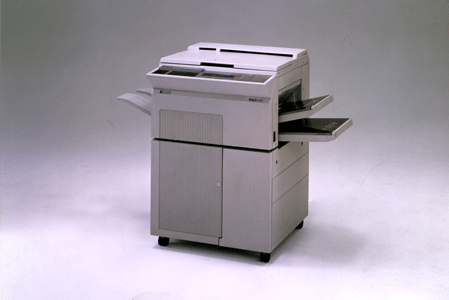 Before the IMAGIO 320 was launched, the commercial photocopier market was dominated by monochrome analog models, with digital models marginalized due to unaffordable unit prices (exceeding 2 million yen on average) and extremely large sizes that prevented their installation in standard offices. 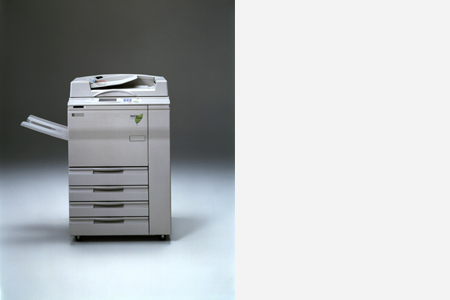 To overcome these challenges, Ricoh developed the IMAGIO 320, a more compact and affordable digital copier for office use. We reduced the body dimensions to a practical size and brought the price down to below 1 million yen. In addition, we incorporated multiple advanced features into the model, including functions to reproduce unprecedented image quality, an extensive image editor selection, automatic control, and multifunctionality to enable operational interaction with other office equipment. Being more practical, sophisticated and less costly, the product sold well over 20,000 units in its first 12 months, making it a massive hit. Ricoh Corporation founded in the USA. Ricoh Industrie France S.A. established. The “OHP313R” awarded Good Design Grand Award. Ricoh Microelectronics Co., Ltd. founded in Tottori Prefecture, Japan, for cutting-edge FA manufacturing of electronic circuit parts. Ricoh opens Yashiro Plant for manufacturing electronic devices in Hyogo Prefecture, Japan. Ricoh launches the “RIFAX D7000”, the world's first ISDN G4 digital facsimile machine. 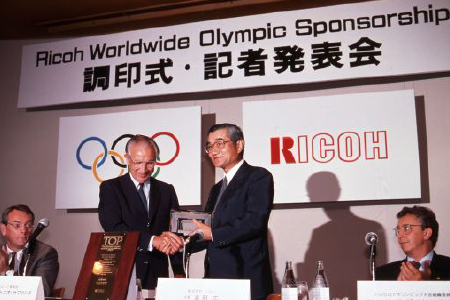 Ricoh signs a contract of the Worldwide Sponsorship in facsimile machine category for 1992 Barcelona Olympic Games. On September 19, 1989, Ricoh signed an agreement to become the 1992 Barcelona Olympics Worldwide Sponsor in the facsimile category. 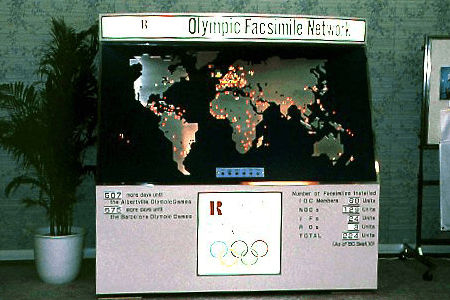 Based on this agreement, the company constructed the Olympic Fax Network to connect the International Olympic Committee (IOC) to around 40 related sports associations in 167 countries. This worldwide network greatly enhanced international communication among the organizations involved, which previously had to rely on postal and telex systems to exchange messages. Through this project, we were able to contribute considerably to a more accurate, speedy and smoother Olympic Games. Construction of Ricoh Electronics, Inc. Georgia Plant completed in the suburbs of Atlanta, the fourth of its kind in the USA. The standard technology adopted for color copiers around 1990 required repeated imaging processing for four colors (cyan, magenta, yellow, and black) loaded on a single drum to reproduce one color copy. This was a time-consuming process, taking about five minutes on average to make one A4-page copy. Identifying an opportunity in this limitation, Ricoh developed a four-drum photoreceptor system that could process the four colors in tandem, which was a vital function built into the new digital color model. 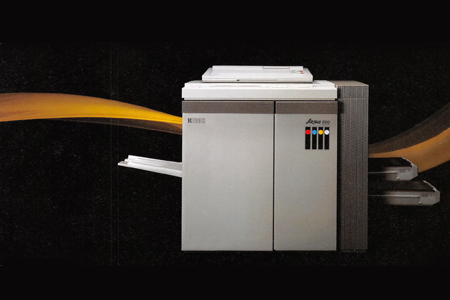 The resulting ARTAGE 8000 boasted the capability of an outstanding high-speed color printing output of 15 ppm, which was the world’s fastest at that time. The product was also designed to accept various paper types. The introduction of ARTAGE 8000 increased the availability of the color duplication option in routine office operations. Ricoh Asia Industry (Shenzhen) Ltd. (RAI) founded in China. Dong Guan Tailien Optical Co., Ltd. opens in Shenzhen, China, to manufacture parts for compact cameras. Ricoh California Research Center develops world's fastest color imaging compression algorithm. Ricoh completed setting up the Ricoh's Olympic Fax Network to connect International Olympic Committee (IOC) to Olympic Family. Ricoh General Principles on the Environment enacted to clarify Ricoh Group's position on environmental preservation. Construction of OPC system completed at Ricoh Numazu Plant, Japan. Ricoh Unitechno Co., Ltd., Japan, becomes first subsidiary of the Ricoh Group to obtain ISO 9002 certification, followed by the Atsugi Plant and the Gotemba Plant. Ricoh officially enters into the CD business. Ricoh UK Products Ltd. (RPL) becomes first recipient of Queen's Award for Environmental Achievement. Ricoh signs a contract with IOC as Olympic Fax Network supplier. Shanghai Ricoh Facsimile Co., Ltd. founded in China. RPG Ricoh Ltd. founded in Bombay, India (renamed Ricoh India Limited in 1998). Ricoh UK Products Ltd. (RPL) receives Highly Recommended prize from European Better Environment Awards for industry for its chlorofluocarbon-free recycling system. Ricoh starts nationwide development of remote diagnostic service for copiers in Japan. Ricoh wins top award from Japan's Ministry of International Trade and Industry for environmental activities, product assessment and recyclable design. Ricoh Corporation acquires Savin Corporation. Ricoh DC-1, which employed Ricoh’s proprietary image processing technology that had been developed primarily for office automation systems to achieve integrated processing of image and non-image data, pioneered a new front in the digital camera market. 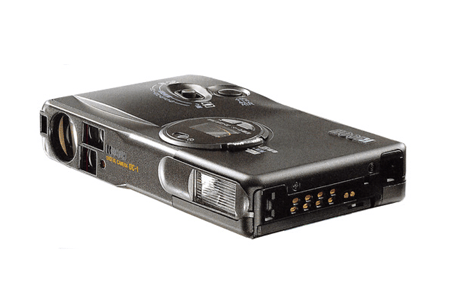 This pioneering model featured a handy pocket-size body that housed a set of then leading-edge functions (that have now become standard) such as zoom, data communication, and video recording with sound. Also, to offer the option of data transfer to PCs, necessary applications and image recording media were developed to specifically serve the purpose of this model. The “RICOH R1” awarded Camera Grand Prix '95 Special Prize in Japan. Ricoh acquires Gestetner Holdings PLC of United Kingdom (renamed NRG Group PLC in 2001). Gotemba Plant, Japan, obtains ISO/DIS 14001 certification, international standard for environmental management. Hiroshi Hamada appointed chairman and Masamitsu Sakurai president. Environmental Protection Agency of United States awards Ricoh Corporation with ENERGY STAR Award (for five consecutive years until 2000). Ricoh inaugurates Aficio as unified global brand for Ricoh products. The imagio MF200 realized the turning point in the history of copy machines by sparking the dramatic transition from analog to digital models. 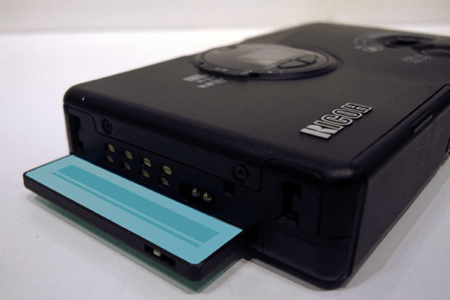 It featured digital-enabled high-definition quality, memory for storing data to be copied, a compact body (for an A3-paper support model) with the world’s smallest width at that time as well as lower unit prices achieved through rigorous cost cutting efforts. Because of all these outstanding features, the imagio MF200 was particularly popular with smaller corporate users, enjoying enormous sales and becoming a record-breaking hit. Following the rollout of this machine, the digital segment increased to exceed the analog segment in terms of shipment volume in the Japanese market. In the global copier sector, this event provided momentum supporting the trend toward the shift to digital technologies on a large scale. Ricoh launches production of CD-RW discs. Ricoh Asia Pacific Pte. Ltd. established in Singapore. Ricoh establishes Ricoh Kanto Recycling Center to disassemble and separate recycled PPCs for energy reduction and recycling. Ricoh Silicon Valley, Inc. founded in California (renamed Ricoh Innovations, Inc. in 2000). Mitsui-Ricoh CIS Ltd.,a joint venture company with Mitsui & Co.,Ltd., formed in Russia. Ricoh Latin America, Inc. established in the United States to manage sales in Central and South America. “RIFAX BL110 Shataro2” facsimile machine awarded Japan Machinery Federation President's Award at 18th Energy Saving Excellent Awards. 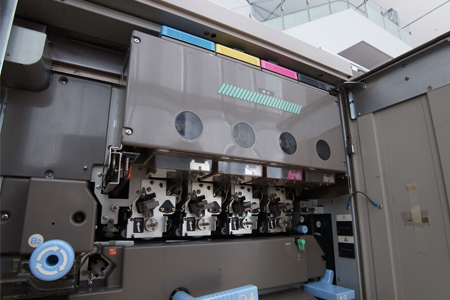 Ricoh Asia Indutry (Shenzhen) becomes first Japanese-owned facsimile machine manufacturer to reach 1,000,000 unit production mark. Ricoh awarded first place in second annual Environmental Management Survey by Nihon Keizai Shimbun, Japan's top business daily (receives for three consecutive years until 2000). Ricoh Technosystems Co., Ltd. formed by merge Ricoh Technonet Co., Ltd. (Tokyo, Osaka) and Ricoh Information Systems Co., Ltd.
Ricoh awarded Minister of International Trade and Industry Prize in eighth annual Global Environment Awards from Japan Industrial Journal. Ricoh receives Japan Quality Award. The Ricoh Group is committed to building a management system that allows business to create the value expected by customers in cooperation with them while maintaining a competitive edge over the long term. 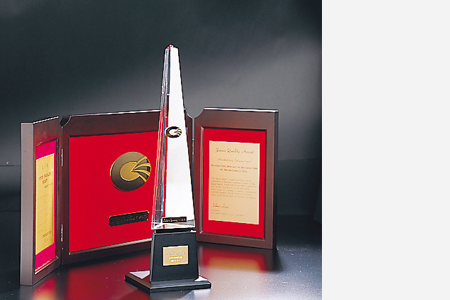 As one of the relevant approaches taken, the Group started to work on developing a customer satisfaction-oriented management system, and in December 1999, we received the Japan Quality Award in recognition of these efforts. Gaining momentum from this commendation and acknowledgement, we began to globally expand the management quality reform initiatives for improving customer satisfaction while maintaining competitiveness. At each Group company both in and outside Japan, the responsible division carries out evaluations of management quality and implements necessary improvements.